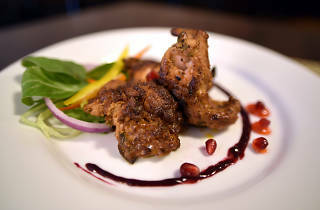 Gaurav Anand (Moti Mahal Delux) focuses on dum pukht, a slow-cooking northern tradition, for this uptown Indian eatery. 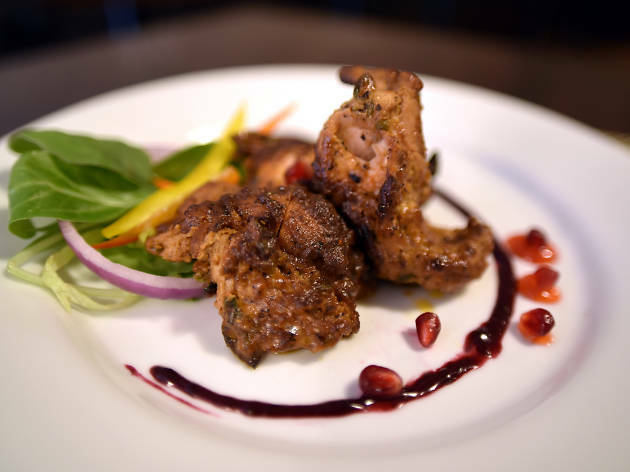 We have had a very different experience with Gina, and Awadh having dined there several times in the past year,and been treated like royalty each time. I am an enthusiastic fan of Indian food and think of Awadh as my favorite place to get same. The seasoning is always spot on, and the service has always been polite and friendly when we have been there. We usually order an assortment of the appetizers, and 4 or 5 dishes to share.The Lasooni Gobi is the best I have had, and the chicken appetizer (the name escapes me) is fought over by everyone at the table when we order it.I enthusiastically recommend it to anyone looking for terrific Indian cuisine on the upper west side-best to make a reservation or come at slightly off peak times to avoid a wait. And I also suggest sitting upstairs-a very nice room. This review is only about the service. I ordered for take-out on the phone. I asked for the non-vegetarian lunch special and was told that it was chicken meatball and chicken tikka for appetizer, and main-course was goat, butter chicken & dal. When I came home after picking up the order, I realized that they had given me the vegetarian appetizer option of paneer tikka & aloo. I called the restaurant and spoke with Gina and after explaining to her what I had received asked her if she could have the order exchanged. She offered me the option of sending a delivery person with the right order or coming to dine in and receiving a special dish. I chose the former. She said that the delivery would take place after 5pm, and I gave her my address and agreed. She called me at 4:30pm to state that the delivery would now take place at 11am tomorrow since dinner would be busy. I agreed to this as well. Them, she called me to tell me that they couldn't deliver the order and asked to dine in and receive special service. Fed up by then, I stated that after experiencing the kind of service I did, I wouldn't be very open to dining in if they couldn't fix a simple mistake. She then happily washed her hands off and said she couldn't help me after wasting my time since afternoon. Why would I want to dine in after experiencing the awful service first hand??? I was so excited to have what I'd expected to be a good uws Indian restaurant; however it's obvious with service like this I'd rather stick with other options.